This design is really simple but effective and looks sufficiently Christmassy without being too novelty if that's not your cup of tea, much like the French Holly Christmas nail art from yesterday. 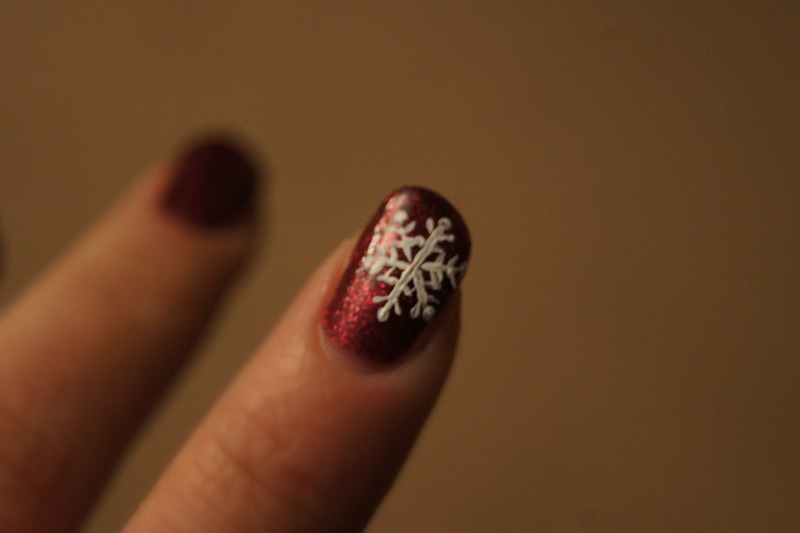 Feel free to make paint your base and snowflakes a little less shoddily than mine! Obviously you can switch up the nail colour to anything you like; I think a pale blue would look really pretty too. These look so cute! 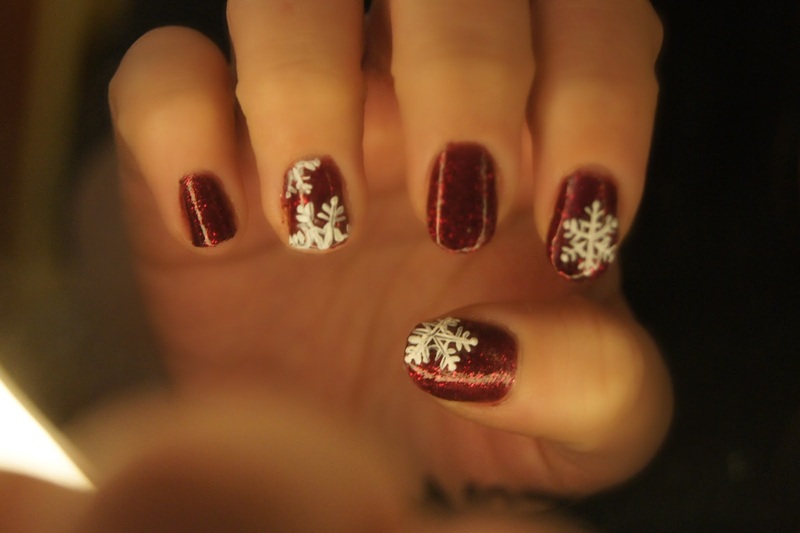 Might have a go later on, my nails need to be a bit more festive I feel!